Check your browser response times and receive suggestions on how to improve them on network, server or code level. Lower the bounce rates with deep insights from one single AMP monitoring tool. Optimization means more than speed. Dynatrace shows infrastructure boundaries, evaluates used technologies and 3rd party providers in all accelerated mobile pages. Speed also matters when looking for problems. APM monitoring allows you to find upcoming issues before your customers are affected. Whether you are using an AMP plugin for your CMS, a built-in solution on a content platform provider or a custom system, performance details for applications like WordPress, Drupal or Joomla are supported just like major content ecosystems from Google, Twitter, Pinterest or LinkedIn. 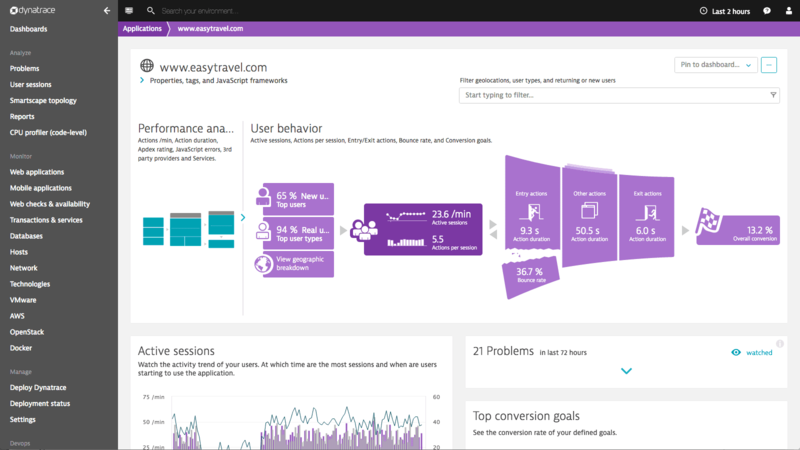 AMP optimization with Dynatrace monitoring! While there have been lots of software applications, plugins and other attempts to improve web page speed by making their static content, there has never been a normed standard like accelerated mobile pages. AMP is a pioneering solution with that goal. The open-source technology allows fast response times by building web pages for static content. A limited set of allowed technical functionality ensures minimal traffic. This way websites can render very fast. With support for a variety of analytic tools, content platforms, content management systems and further interfaces a growing number of technologies and companies follow the new standard. Originally initiated as Google AMP the project has meanwhile gone open-source to allow everybody to contribute ideas for a fast mobile web. 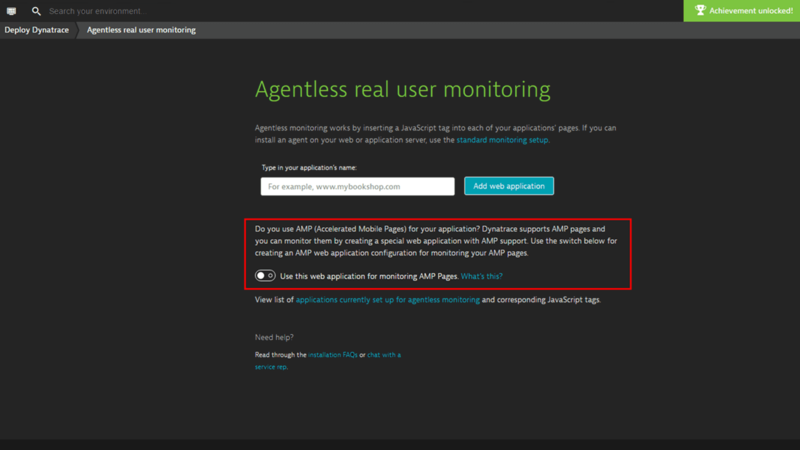 Start monitoring your AMP pages with Dynatrace!